The medical industry is rapidly adopting the use of high definition 4K video. The resultant data rates generated by these devices, and the need for near zero latency in signal transmission, has dictated the use of high speed fiber optic interconnect solutions to transport those signals in real time. Adding to that challenge is the need for constant reconfiguration of the operating environment, which results in high mating cycle requirements for electrical and optical interconnect. 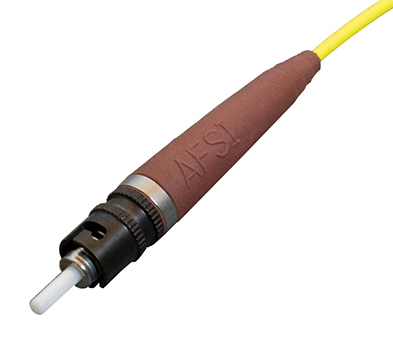 AFSI is the leading provider of fiber optic systems that meet these criteria. We design and manufacture industry-leading products utilizing the latest expanded beam technology, as well as traditional physical contact technology, to best fit the application and program budget. If you need to combine fiber, copper, and illumination (large core fiber) we offer an array of off-the-shelf solutions as well as the ability to custom-design a solution specifically for your application. We can also incorporate Fiber Optic Rotary Joints (FORJ), which allow for data transmission without restricting an equipment’s range of motion. Please contact us to discuss your needs. 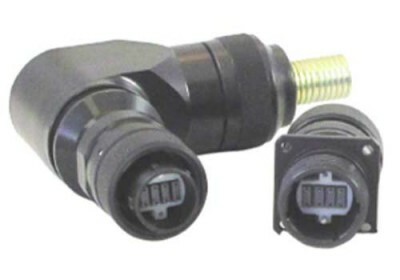 The high-precision engineered polymer insert provides optical performance superior to that of other hybrid connectors.